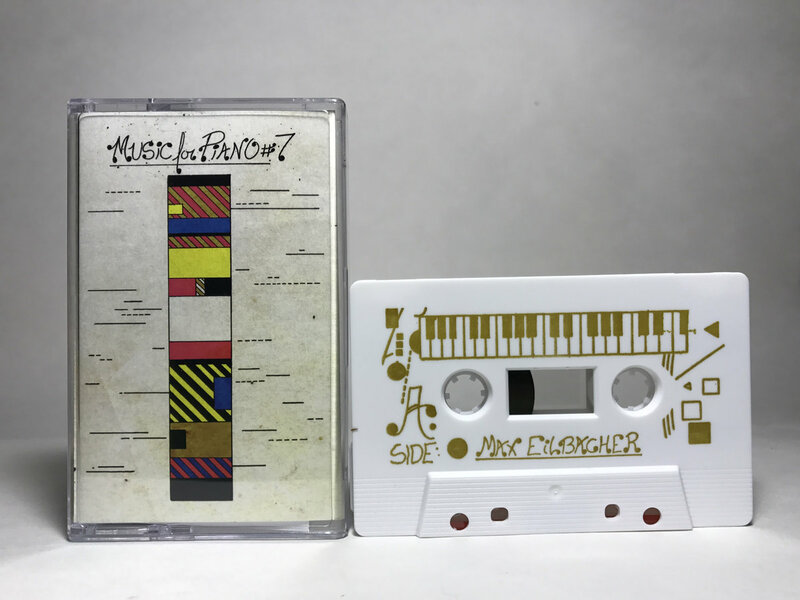 The latest effort from Max Eilbacher, titled "Music for Piano #7" and released on the Cleveland-based label Unifactor, is a straightforward yet effective exercise in chance and control. The album is composed of two long-form sound collages, though in a more linear style than is typical. A slew of samples, separated into section according to source, are thrown at the listener and are constantly manipulated by pre-determined software patching. The name of the release is taken from a piece by Japanese avant-garde composer Toshi Ichiyanagi. According to the Unifactor release page, the score for Ichiyanagiís piece was used as a rubric for this release. "Instead of interpreting the score as a human player, I created a system on the computer that would perform the score. The system decides what sample to play, the position of playback, the order in which the samples are sequenced, the length of each sequence and how the sample's timbre is modulated. 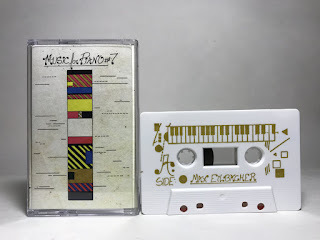 These decisions are based entirely on a Max/MSP patch's ëreadingí of Ichiyangi's score." This play between chance and control has always been interesting to me personally, and Music For Piano #7 provides a solid experiment in this arena. Max/MSP's reading of the Ichiyanagi score simultaneously provides total control and total chance. The results are also a step above similar experiments in computer-based randomization and control, which may seem too cold or alien. Each side of the tape keeps a sense of movement which holds onto the listenerís attention until the end of the tape. The sample material also provides a nice element of change as the album progresses. The A side is composed entirely of electronic sounds while the B side uses various field recording snippets. And just for fun, each segment is introduced by a voice saying what sample is used in the upcoming part, which makes the whole thing feel like it has episodes. All in all, a good listen and one to check out for fans of experimental music and computer music.